Wednesday night Summer Concert Series - always an audience favorite! Wonderful music, accompanied by Olga Rogach, narrated by Rick Kimball, performed by fabulous local talent. Complimentary refreshments, air-conditioned comfort. 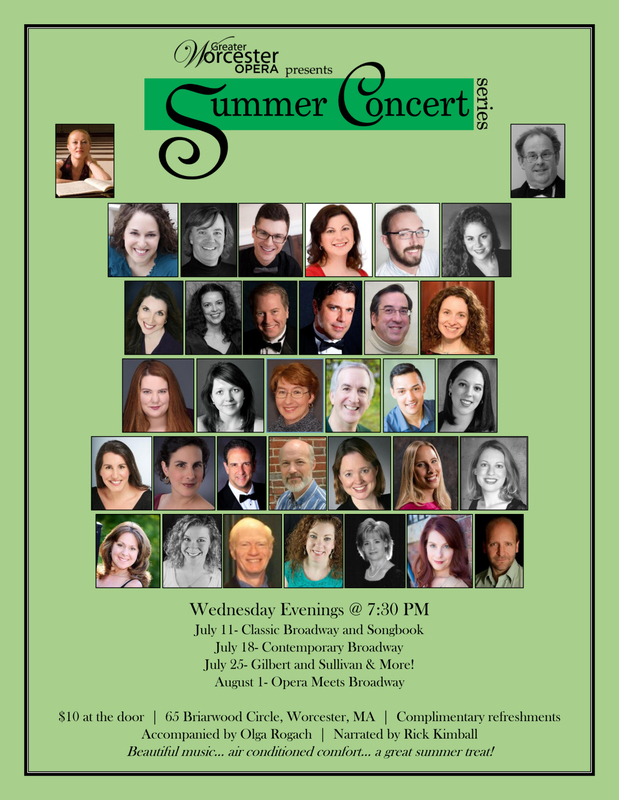 July 25- Gilbert & Sullivan and More!